4 Pines Brewing Company have revealed their fifth venue is slated to open in Sydney this December, mere days before Christmas. 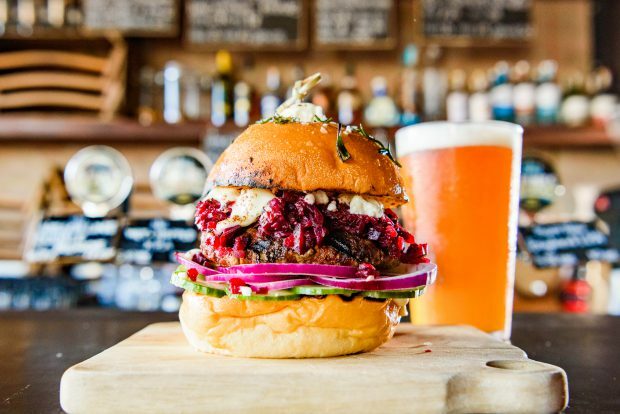 The beer and burger bar concept will be called 4 Pines Surry Hills and represents their latest foray into hospitality venues. Occupying the space formerly housing Mr Fox at 557 Crown Street, Surry Hills, the venue will be split over two floors with a capacity of around 60 customers. While the full menu is still under wraps, expect a short list of burgers accompanied by snacks and sides as well as the full range of 4 Pines beers. The venue is also promising some limited edition Keller Door releases and a small selection of wines, cocktails and spirits.